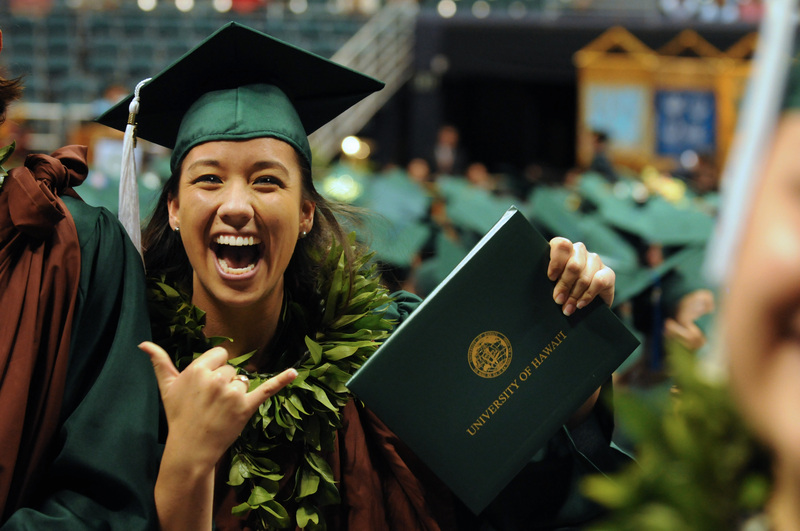 A happy UH graduate with her degree. One national study predicts that 70 percent of Hawai‘i’s jobs will require some postsecondary education by 2020. I believe education reform in Hawai‘i starts with changing the current top-down bureaucracy of the DOE to a school-centered one. Our blueprint for Hawai‘i’s schools is based on input from over 3,000 parents, teachers and community members from a statewide summit to dozens of meetings across the state. Schools need to be able to design their own programs, implement plans, and be accountable for the results — to be encouraged to take risks and be creative. That’s why in the 2018 executive budget, we increased funds that go directly to the schools. To further drive changes, we will be proposing a new Innovation Grant program to support school-level innovations, including closing the achievement gap for special needs, immigrants and low-income students. Rovy Dipaysa is anticipated to being one of 13 students to complete all requirements for an Associate of Artss degree from Leeward Community College by the time they graduate from Waipahu High School in May 2018. Expanded Early College Program – UH and the DOE are working to dramatically increase the Early College Program that allows high school students to earn college credits. I want to expand this program to eventually include every public high school in the state. 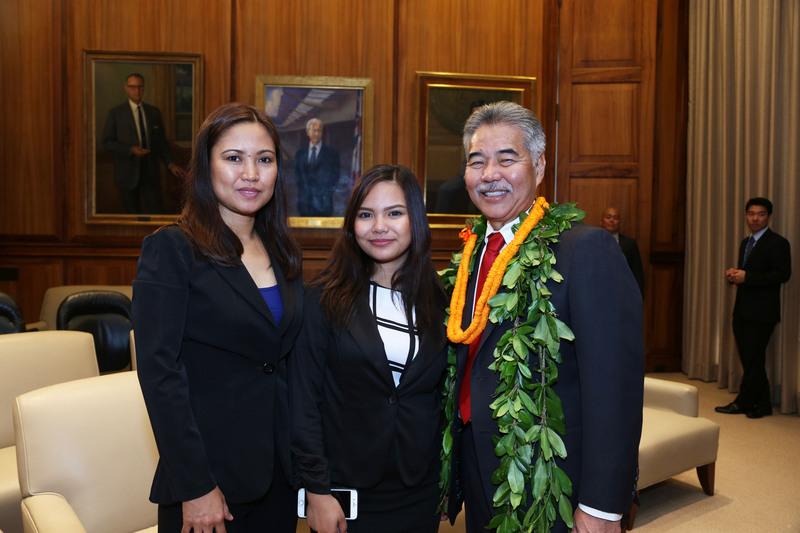 One outstanding example is Rovy Ann Dipaysa, who immigrated to Hawaii in 2012 and barely spoke English. Rovy and 13 of her classmates – the first Early College “Olym pians” – anticipate receiving their Associate in Arts degree from Leeward Community College in May 2018 before they graduate from Waipahu High School. 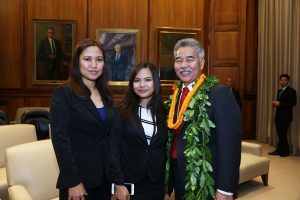 More help for college costs – I am also proposing to establish the Hawai‘i Promise Program that will fill the gap between what a qualifying family can afford and the cost of community college, without taking out a loan to cover tuition, fees and books. Cooling our schools – Last year I pledged to cool our schools. No one is more disappointed than I that implementation has lagged. But we haven’t lowered our sights. The capital budget includes $61.7 million to continue this effort. Improved DOE and UH facilities – I am also proposing $700 million in new schools, classrooms, science facilities and repair and maintenance and $150 million for university facilities statewide.